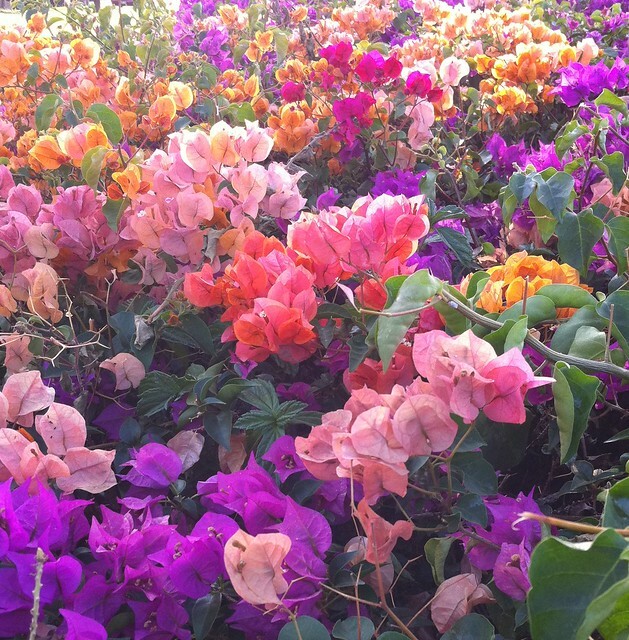 Between our Maui condo and the parking lot was this beautiful collection of bougainvillea. I’ve seen one or two colors amassed before, but not this many. . . . 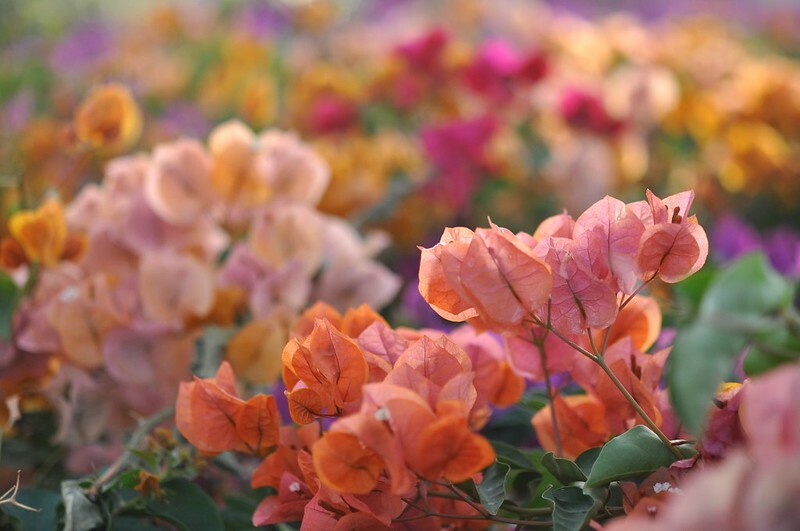 This entry was posted in photography and tagged Hawaii, Instagram, Maui, multicolored bougainvillea. Bookmark the permalink. Oh, these are beautiful. I love bougainvillea – I wish they would grow here, but New England is definitely not the climate they like! When we were in Mexico they were everywhere, and I fell in love with them then! Thanks for sharing and have a wonderful weekend! I love these…I hated trimming ours in California since they had nasty thorns, but it was a small price to pay for beauty. I also love Bougainvillea. I tried the on the balcony as well but they really are too delicate for our climate. I have never seen so many colors. I think I like the first photo even better as the unusual color dominates. Wow what a wonderful series of photographs. I love each and every one. Have a great weekend! Love the bougainvillea so much that we planted several at our place in Fort Myers. The range of colours is beautiful. Great photos, Carole.